Aishani Aatresh, Research Intern at Distributed Bio. Aishani Aatresh works at Distributed Bio developing computationally-guided immunoengineering methods to enable a new generation of monoclonal antibody discovery. She has been passionate about immunology from a young age because of her severe food allergies and is deeply interested in genetics and computer science. A big proponent of scientific advocacy and applications on an interdisciplinary scale, Aishani is an alum of TEDx from her talk on allergies at Sacred Heart Cathedral’s 2017 conference and writes a medical column as an editor for her school newspaper. 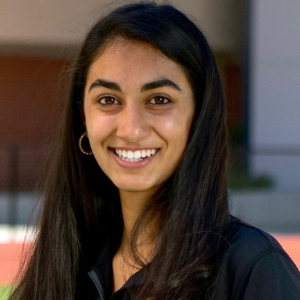 She is the lead director of LancerHacks, a hackathon in its second year focused on the multidisciplinary nature of computer science, and runs an after-school YMCA program to foster awareness, understanding, and dialogue particularly about present-day issues in science at the elementary school level. Previously, she has conducted research about the impact of genetics on allergies and the relative influences of genetic and environmental factors on obesity. Aishani has also interned with Driver, a technology company for cancer patients, as a member of their lab operations team, interfacing with the various realms at a biotech company. She enjoys being outdoors, playing a variety of sports and music, directing short films, watching movies and late-night comedy, doing the New York Times crossword every day, and working with people from all walks of life.